Lenovo has already teased the launch of the Z5s smartphone in December on its home soil, China. The handset is reported to come with an edge-to-edge display and a screen piercing for selfie camera. 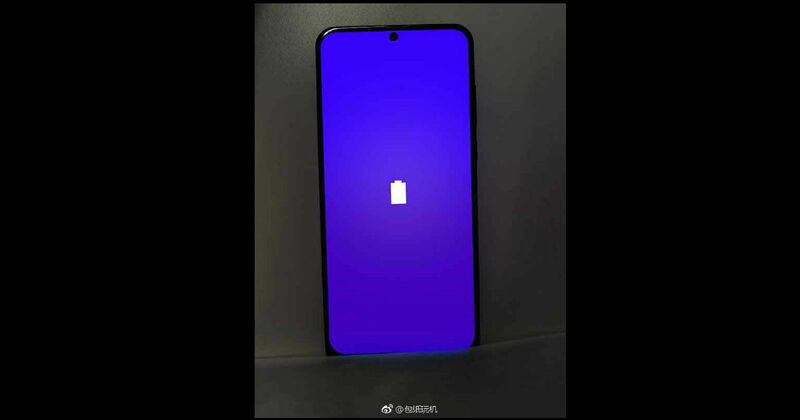 Now, an alleged hands-on video of Lenovo Z5s has surfaced on the interwebs to reveal that the device indeed features such design. The 14-second video showcases the Lenovo Z5s from the front. The handset seems to come with near bezel-less display that means it’ll have a high screen-to-body ratio. Interestingly, there will be no-cut on the panel but a hole up top in the middle. The hole in the screen is expected to house front camera for selfie and video calling. We can see in the video that the phone uses gestures to switch between apps, suggesting the custom skin will support gesture-based navigation though it cannot be said with surety that the handset will debut with Android Pie. Housing the camera in a hole in the screen seems to be the new technique that OEMs seem to be adapting to offer more immersive viewing experience to users. Huawei is also expected to launch the device with such design, while Samsung is likely to debut its Infinity O display with a selfie camera hole on Galaxy A8s smartphone next year. Coming to the specifications of Lenovo Z5s, there’s little to no information available right now. Nonetheless, a TENAA listing of the alleged handset reveals that it’ll come with a triple-rear camera setup. The camera module will be aligned at the top-right corner of the rear panel, just like the Huawei P20 Pro. Furthermore, the phone is expected to come with a 6.2-inch display, a rear-mounted fingerprint sensor, a 3,210mAh battery, and all its physical buttons – including the power button and volume rocker – placed on the right spine. It’s being speculated that the Lenovo Z5s is going to be a flagship offering from Chinese OEM. The handset is likely to be driven by Qualcomm’s forthcoming premium Snapdragon 8150 chipset, mated with a maximum of 8GB of RAM and 256GB internal storage. Although these are mere speculations, we’d advise you to take it with a pinch of salt.